W. ANDREW BOBO, concentrates his practice in the area of Social Security Disability benefits. As a result, Mr. Bobo has more than fifty hearings each year representing disability claimants. In addition to Social Security Disability, Mr. Bobo’s other practice areas include Business Transactions, Wills and Estates, including Probate Administration and general Civil Litigation. 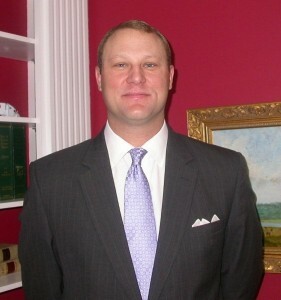 Mr. Bobo received his Bachelor of Science from the University of Tennessee in 2000, and his Juris Doctor from Cumberland School of Law in 2002. In addition to his law practice, Mr. Bobo has been active in the community. Mr. Bobo is currently a member of the Board of Directors of the Child Development Center in Shelbyville. Mr. Bobo is also a member of the First United Methodist Church of Tullahoma and serves on various church committees. Disability Insurance benefits, Supplemental Security Income, Business Transactions, Wills and Estates (Probate Administration and general Civil Litigation).